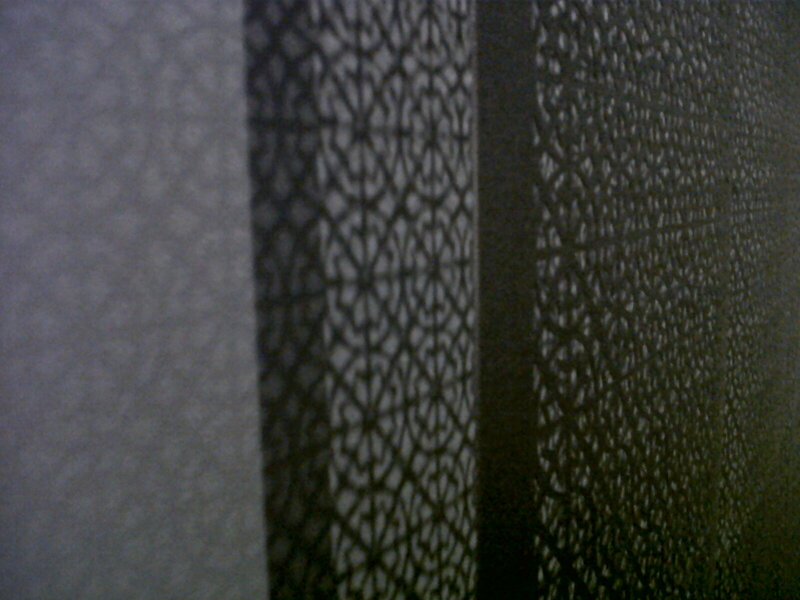 Sharjah Art Museum & Maraya Art Centre | Que Sera Sara? 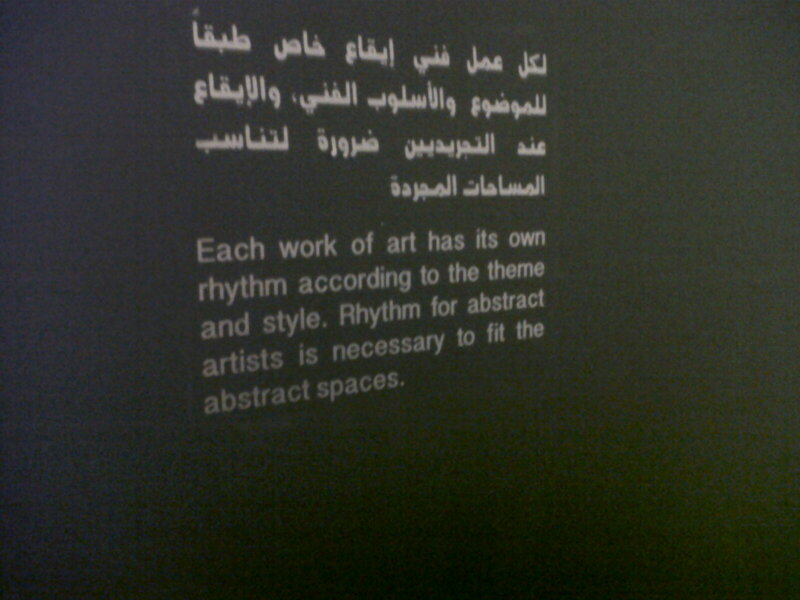 The first thing almost anyone here will tell you about Sharjah is its immense investment in culture. The city practically oozes with museums, galleries and events. There is a huge concerted effort to celebrate culture and art here. In fact, it’s a major tenant of the Royal family’s work. His highness is a prolific writer. I hear he also dabbles in architecture and used to be an actor. His children are award-winning publishers and fashion designers [I hear Lady Gaga has worn his stuff] and art curators [she’s on the board of MoMa]. As a clan, it’s rather intimidating how amazingly successful they are. 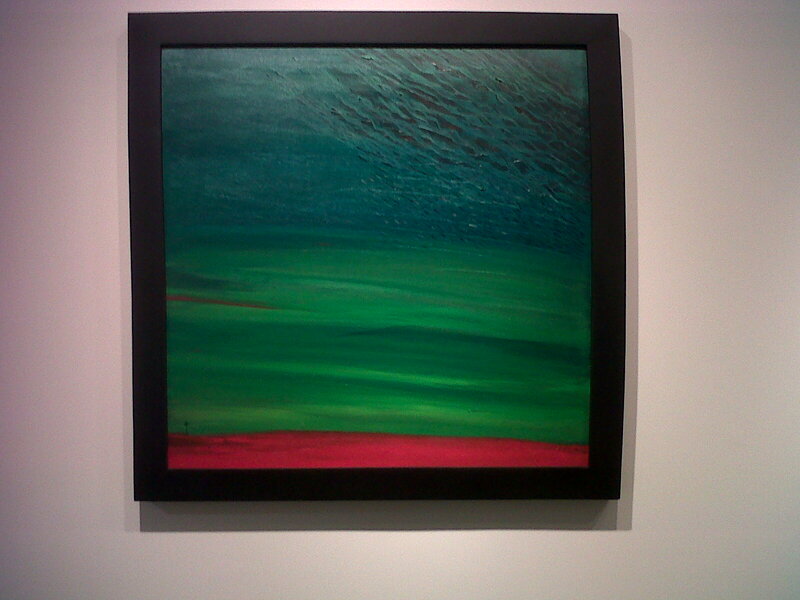 I’ve been to several galleries and art spaces on my trip, and I wish I’d have time for more. The Sharjah Art Museum‘s exhibition of Najat Meky, a locally based and internationally renowned artist, was one of my favourites. 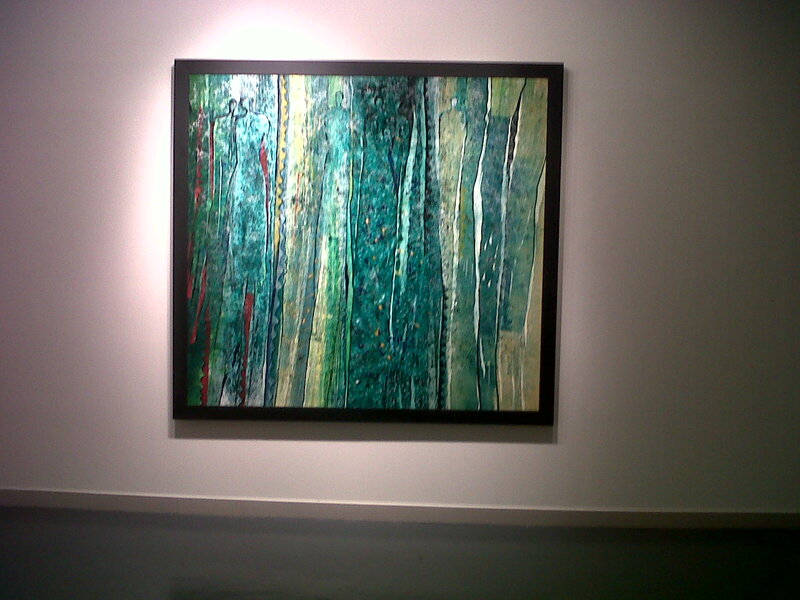 Her abstracts were incredibly dynamic and evocative, though my terribly camera doesn’t do them justice. I didn’t even attempt to record the huge canvases of neon paint, showcased in pitch dark rooms with nothing but black lights to give the walls an eerie glow. 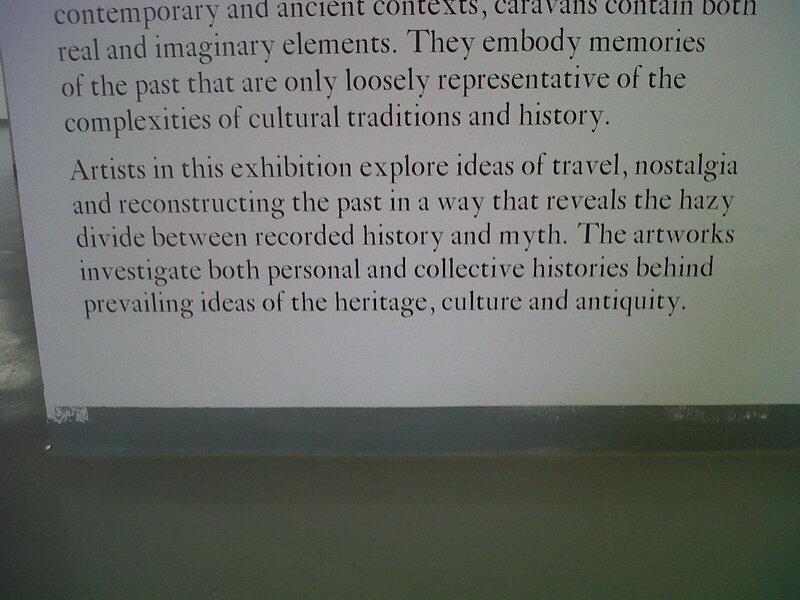 There were also several works looking at fabrics, textiles and structures of tradition which were lovely. 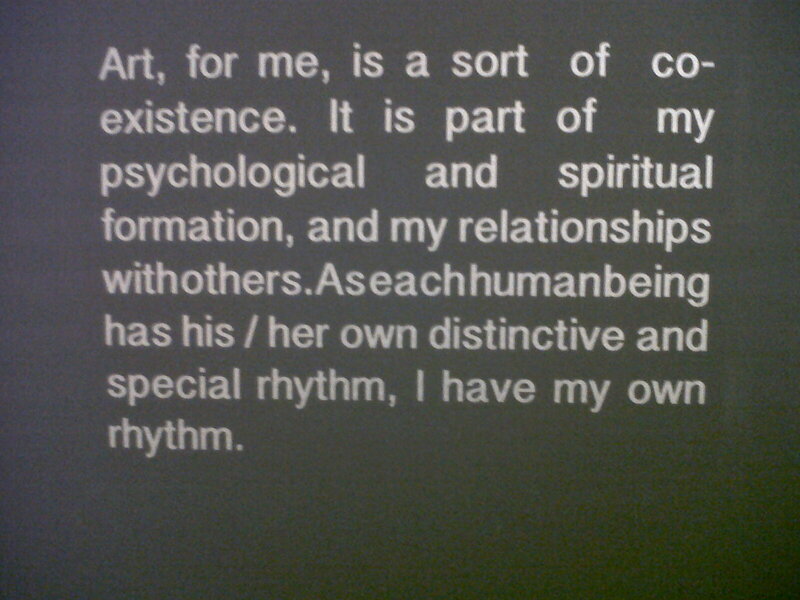 The exhibition was called Colourful Rhythms, and had quotes from the artist interspersed with the work. 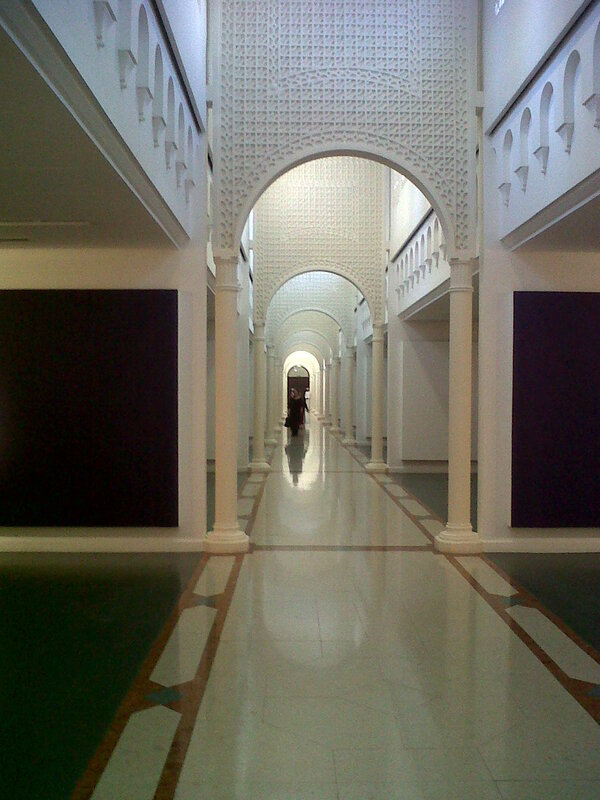 The Maraya Art Centre contains another gallery space, housed in a promenade full of cafes & culture. They specifically work with contemporary Middle Eastern Artists. The current exhibition was on the theme of caravans – their social history, their now mythological exoticism, and their modern realities. I particularly loved this Iraqi artist, who worked in found objects and detritus, exploring the salvaging nature of a place ravaged by war. 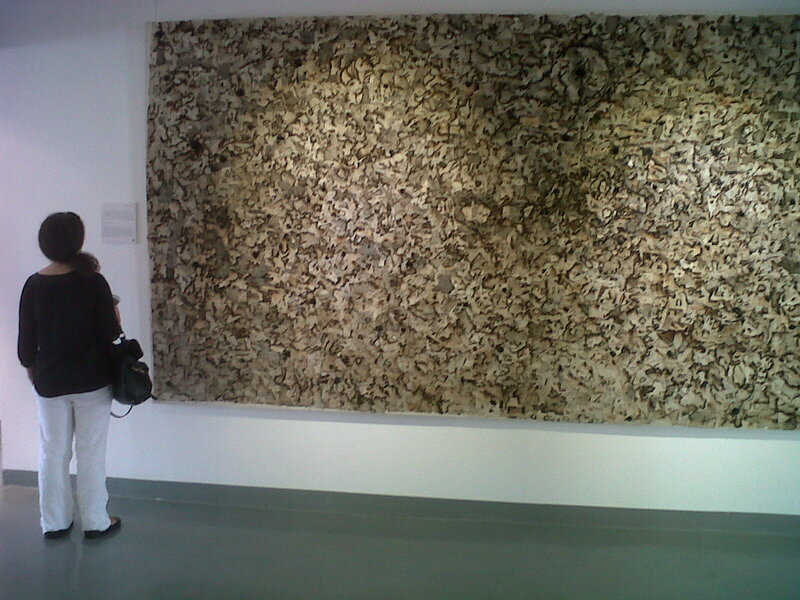 The entire canvas is burnt scraps of fabric. The exhibition catalogue is one of the nicest pieces of print I’ve ever seen [and I love a good piece of print]. It’s full of artist interviews and biographies and things. The only disappointment on my cultural tours of the city would be the emptiness of these spaces. Usually we are the only folk in the gallery. Of course that maybe the time of day. We’re at the Fair in the evenings when most folk are out and usually play tourist in the heat of the day, despite my better judgement. As the saying goes, “only mad dogs and Englishmen go out in the noonday sun”. With such amazing work on display, I hope they are bustling at night. There are some wonderful sights to be seen.